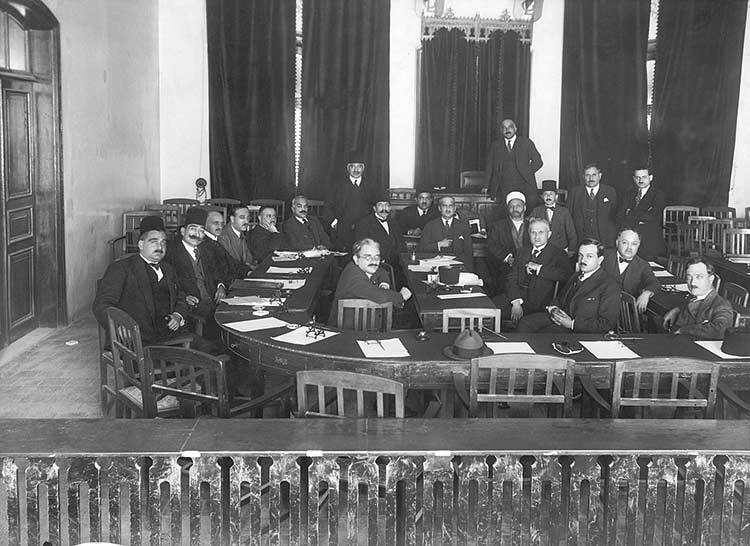 PHOTO CAPTION: Members of the 1925 Parliament - Michel Chiha is not in the photo as he usually did his best to avoid having his picture taken. 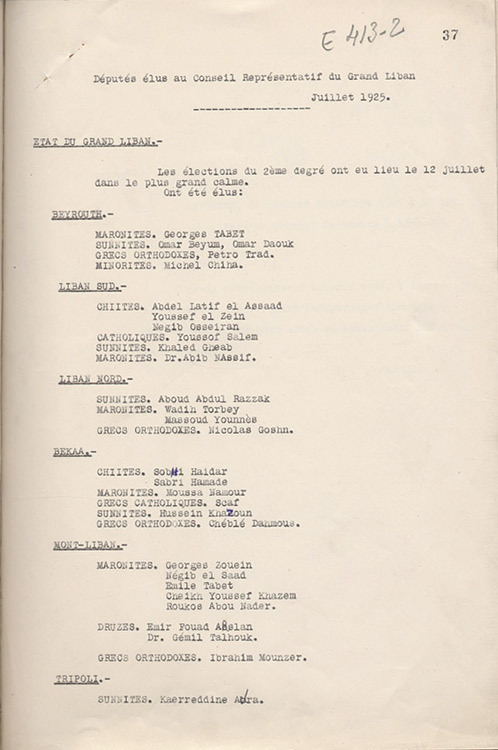 From right to left, Jamil Talhouq, Alphonse Ayoub, Chible Dammous, Elie Skaf, Auguste Pacha-Adlib, Ibrahim Haidar, Sheikh Mohamed el-Djisr, Abd-al Latif al-Assad, Sobhi Haidar, Moussa Nammour, Habib Pacha al-Saad, the Emir Jamil Chehab, Salim Takla, Negib Aboussouan, Michel Nahas, roukox Abou-Nader and Charles Debbas. 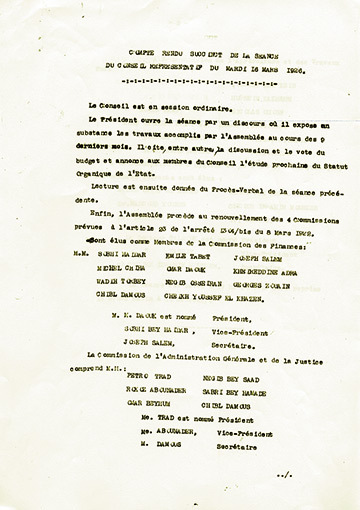 Michel Chiha formally but reluctantly entered the political arena by running in the 1925 legislative elections. 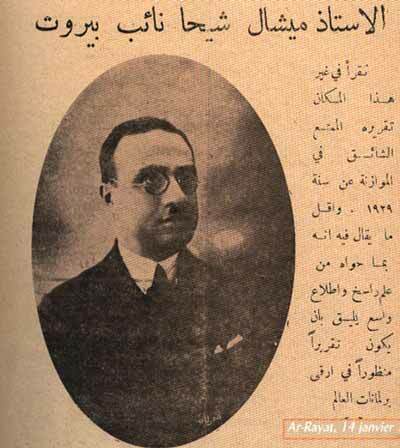 He stood against Ayoub Tabet and was duly elected Deputy of Beirut for Religious Minorities in a parliament that was to oversee some of the most memorable events in the nation’s history including the Druze Revolt, the Damascus Uprising and the proclamation of the country’s Constitution. His inherent reluctance to take part in active politics was the reason why he hesitated so long to declare himself a candidate for the minority seat. 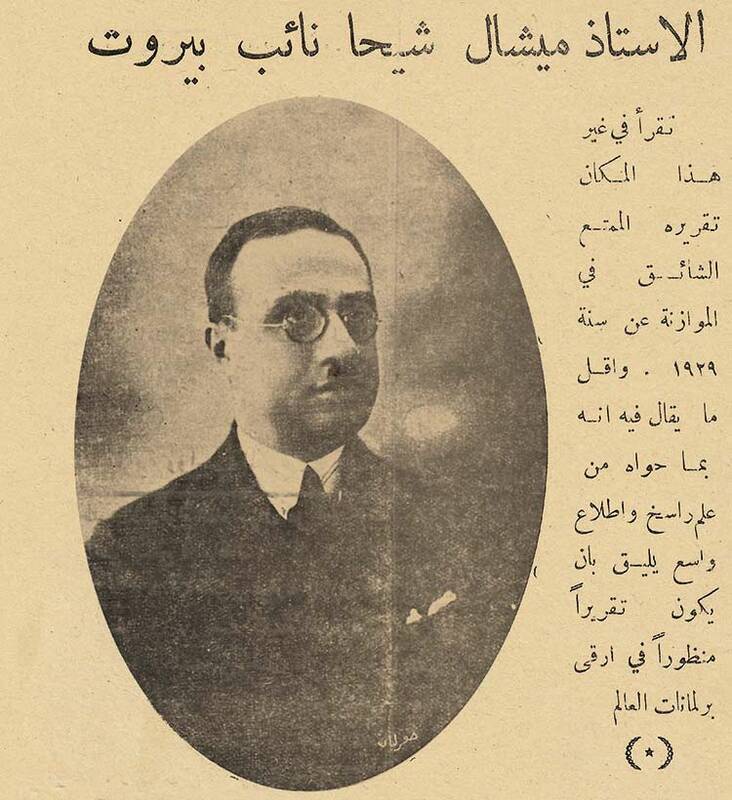 Although he eventually committed himself under pressure from his friends Omar Beyhum and Omar Daouk who very much wanted him on their joint electoral list, he was so horrified by the unscrupulous stunts generally employed during an election campaign that he almost resigned his candidature right in the middle of the election. After he eventually committed himself to his friends Omar Beyhum and Omar Daouk, who had pressured him to put himself forward as a member of their joint electoral list, the entire joint-list won their seats. 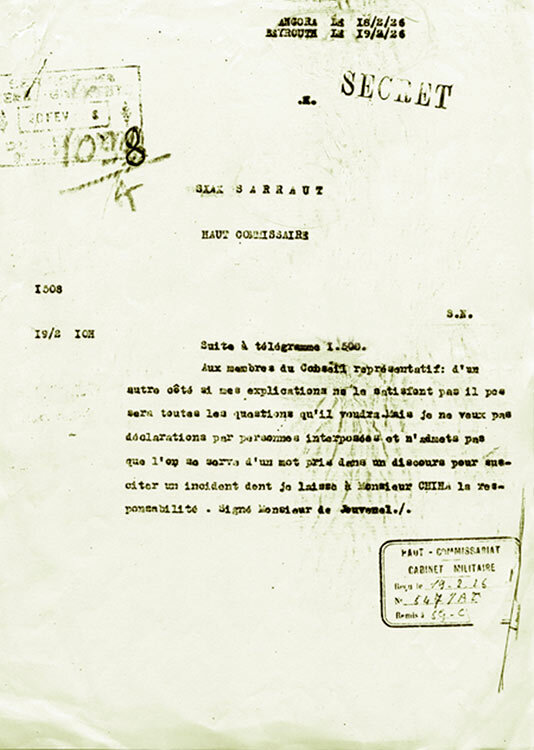 In contrast to preceding French High Commissioners and Administrators, Sarrail and Cayla considered Michel Chiha to be a reactionary die-hard and a puppet of the Church. Auspiciously, their administrative authority was not to last very long. 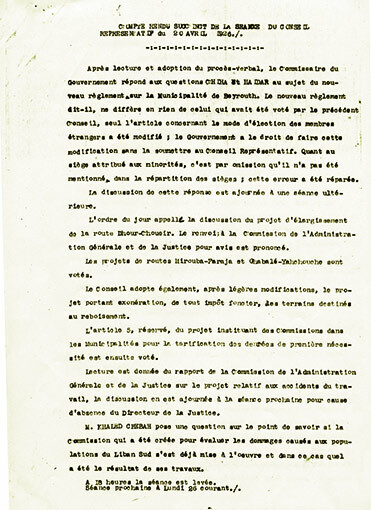 The lacuna created by the departing hostile mandatory authority was quickly filled by the arrival of Henry de Jouvenel (10 December 1925 – 3 September 1926), who was keen to reinstate vigorous negotiations between the French authorities and the local legislative. 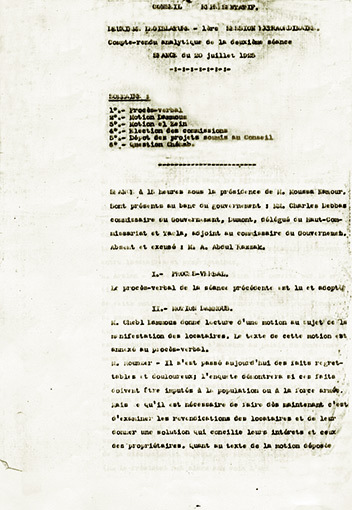 The new High Commissioner immediately proposed the drafting of an organic statute which would result in the Constitution of 1926. 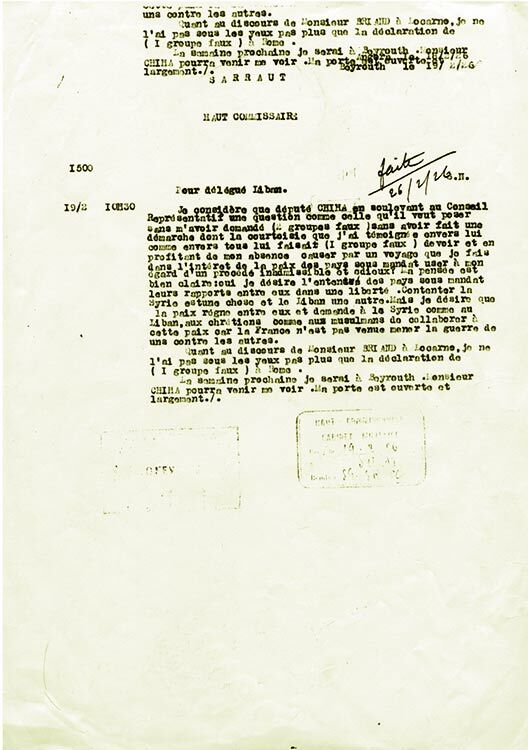 Throughout its drafting, Michel Chiha was closely involved with the new policy advisors of the French High Commission much more in tune with his own aspirations as well as those of his former ally General Maxime Weygand. 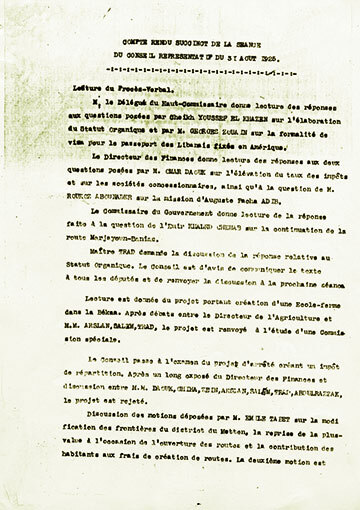 As one of the three-man commission, including Pedro Trad and Omar Daouk, appointed to prepare a preliminary draft of the Constitution, Michel Chiha acted as its spokesman and for all intents and purposes, it was he who composed the details of the Act that was subsequently passed by the Chamber of Deputies. His frequent intercessions on almost every aspect of the proposed bill can be found in page after page of the official Parliamentary Bulletin. 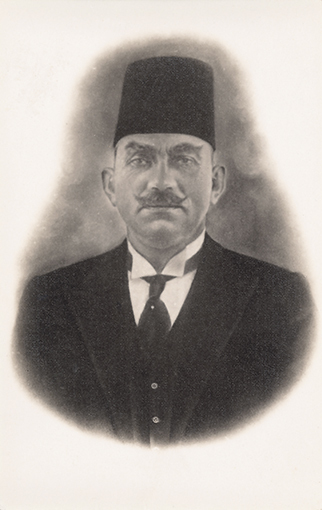 During the second phase of Lebanon’s political emancipation he became even more involved in drafting the details of the proposed constitution, overseeing the institution of universal suffrage by consulting and horse-trading with the various political parties, political family clans and feudal lords. Nonetheless, his four years in the Chamber of Deputies had endowed him with considerable constitutional and fiscal experience and he was often called upon to represent the State on special assignments. 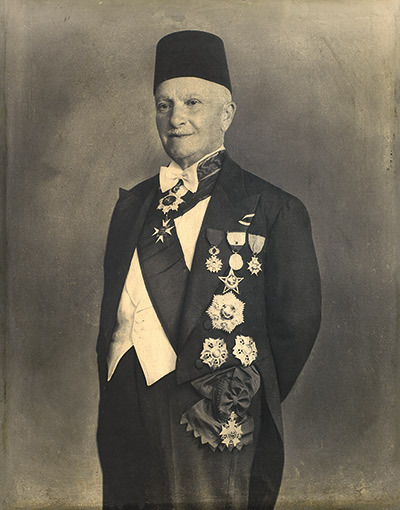 One such diplomatic mission, undertaken in 1946, had him in charge of establishing formal diplomatic relations between Lebanon and the Vatican. He later undertook fundamental assignments involving the financial infrastructure of the country.